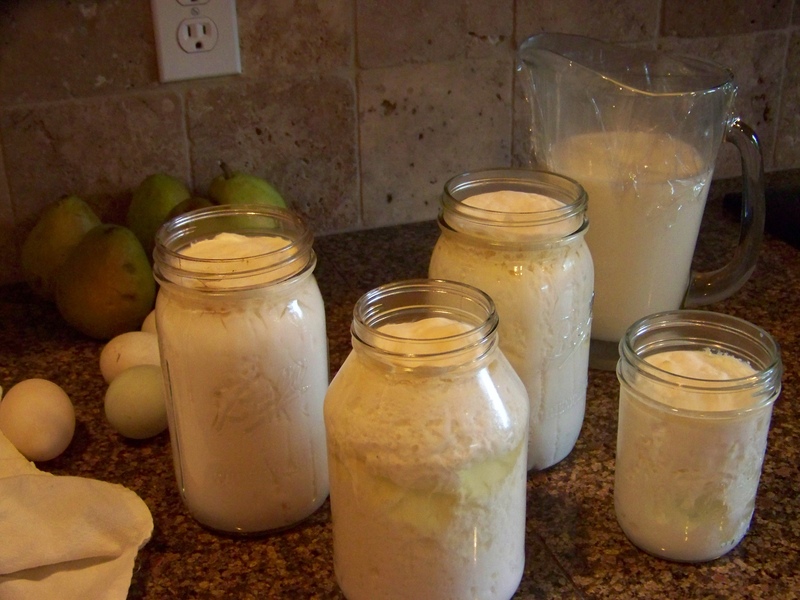 After making yogurt and kefir from raw milk last week, I felt courageous enough to attempt cottage cheese this week. Actually, it turned out to be a cinch. 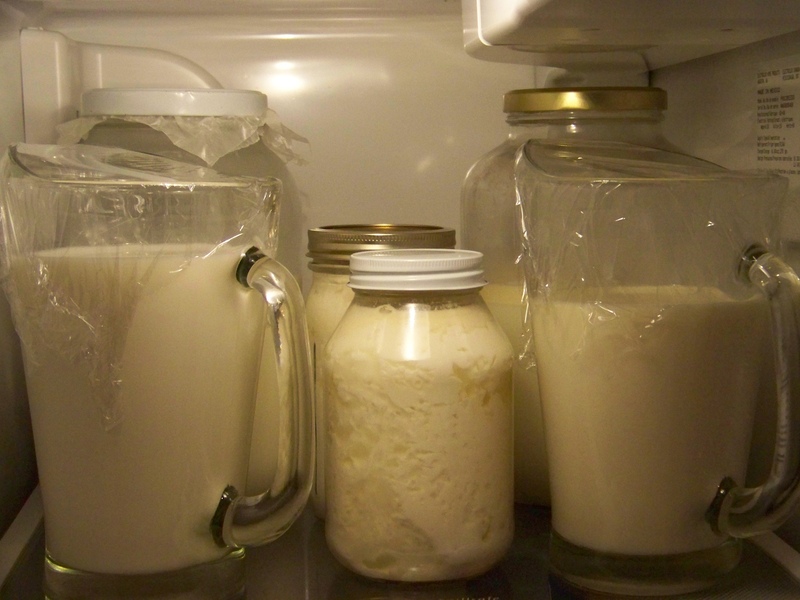 I took a quart of raw milk yogurt, emptied it into a clean 2 qt. saucepan, and set it on the stove over medium heat. 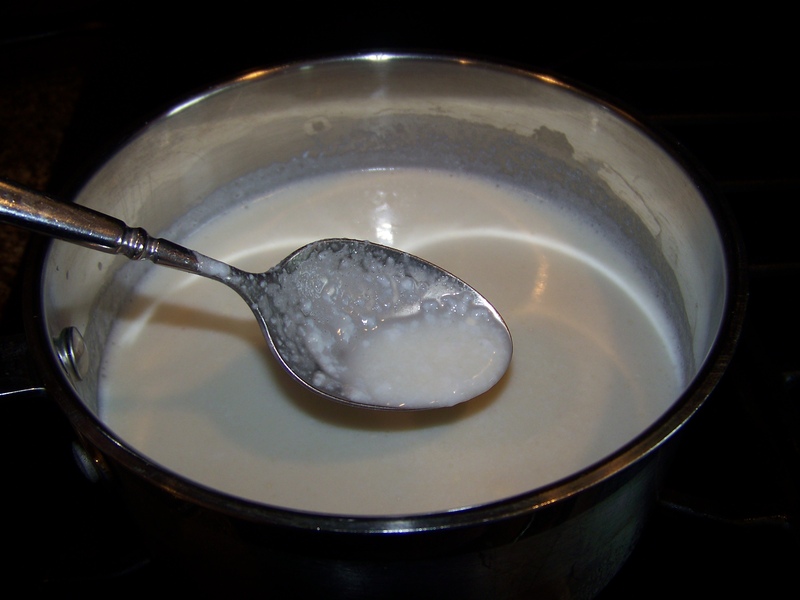 Stirring constantly, I waited to see a change in the yogurt curd. 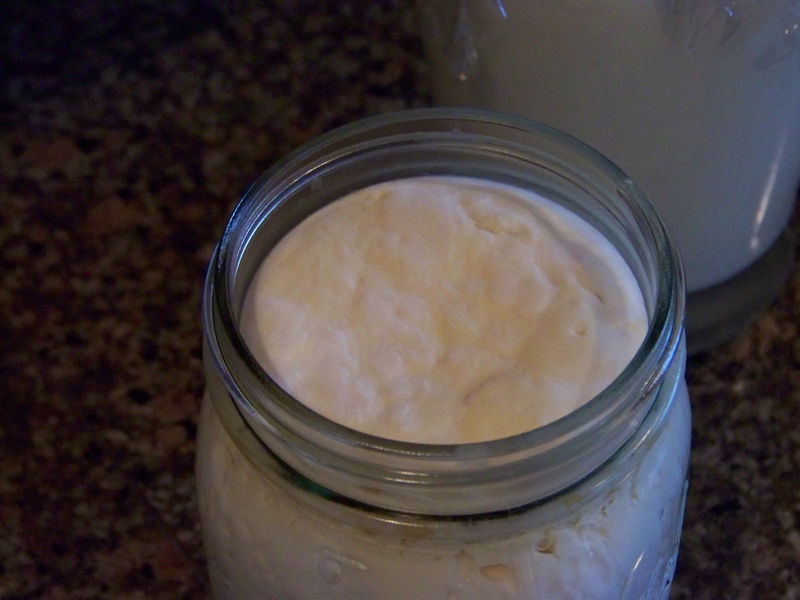 Here is a picture of the yogurt when I began heating it. As I was heating it, I kept sticking my finger in it to test for temperature. The instructions I was going off of were word-of-mouth that it should be warmer than bath water, but not boiling. 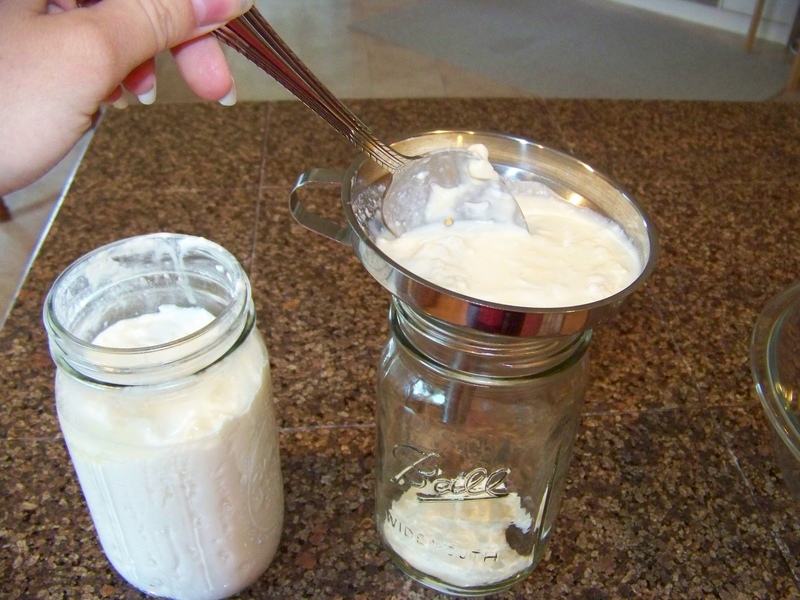 It took less than 10 minutes for the yogurt curd to change into a cottage cheese curd. The yogurt I was using came from the refrigerator, but if it had been from the counter (just finished yogurt culture) then it would have been less time. 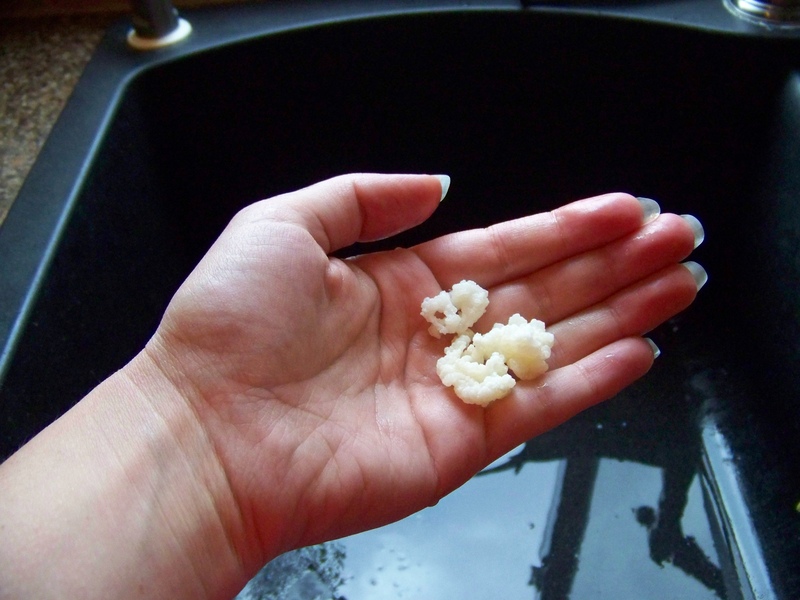 You can see the picture of the cottage cheese curd. I removed the pan from the heat, and at this point I had the brilliant idea to be a little more scientific about the whole process and stick my candy thermometer in the pan. It registered 130 degrees. 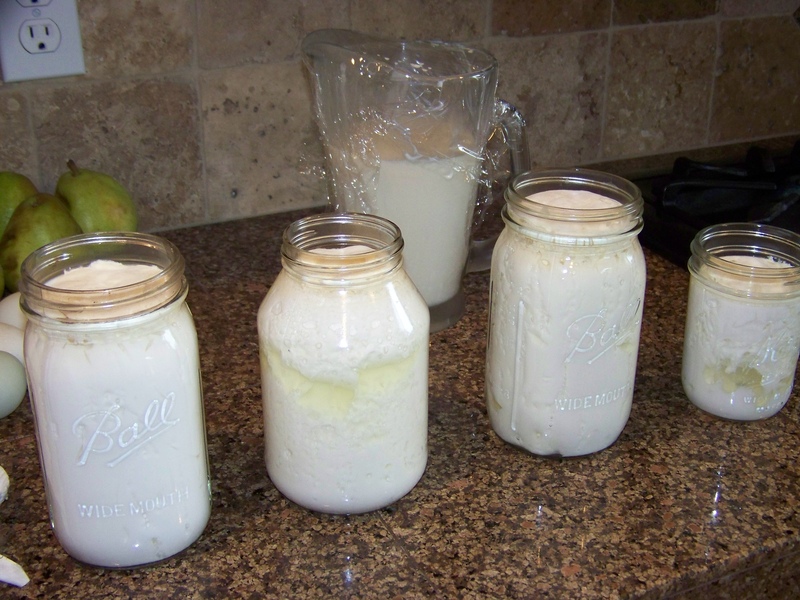 This probably means that the cottage cheese is not technically raw any longer (less than 117 should leave enzymes intact) but it also is a far cry from the “ultra-pasteurization” temperatures which damage and alter the protein molecules of dairy. After allowing the batch to cool for 10 minutes or so, I spooned the curds and whey into my funnel fitted with a strainer. 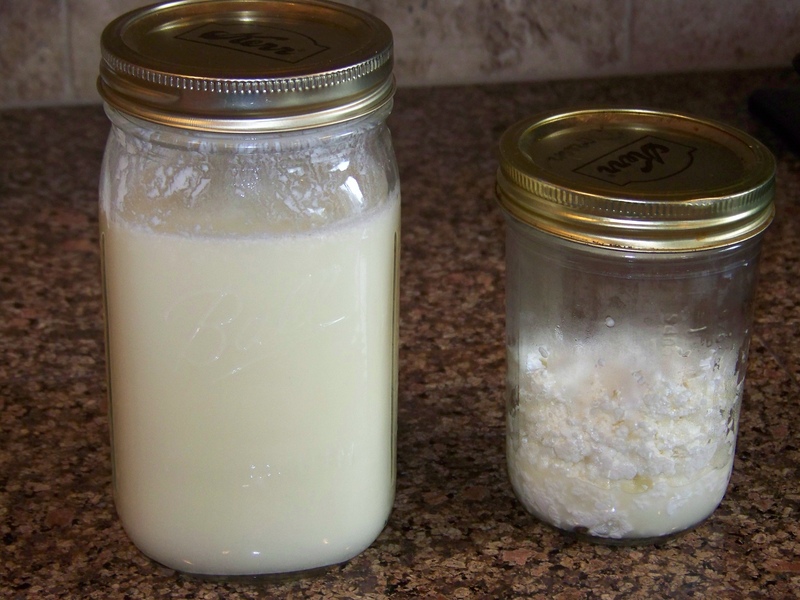 The whey ran through into the canning jar, and the cottage cheese stayed in the funnel for transfer to a second jar. 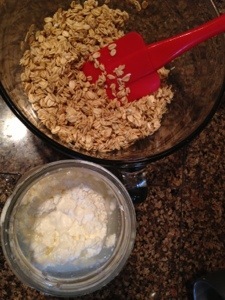 One quart yielded 3 cups of whey and 1 cup of cottage cheese. 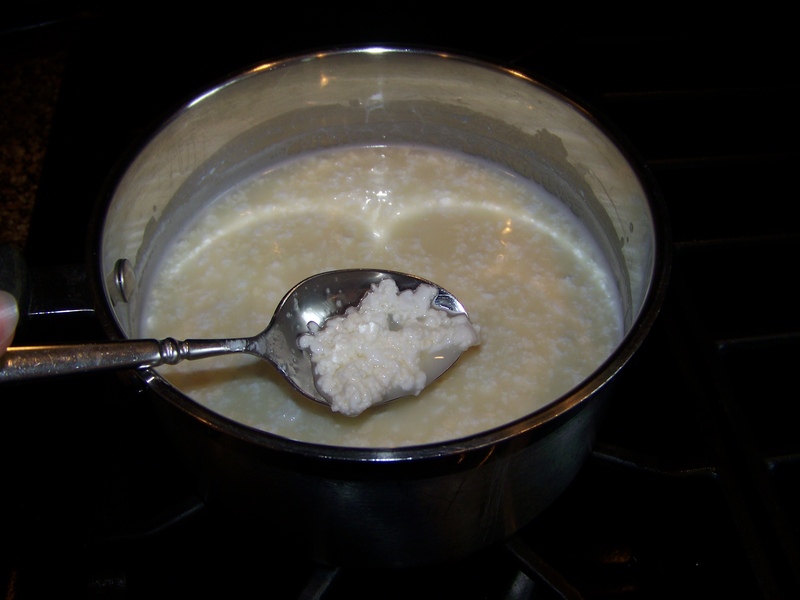 Cottage cheese has a really high protein content compared to other dairy products; 13 gms protein per half cup. It is an ingredient in my High Protein Waffles.